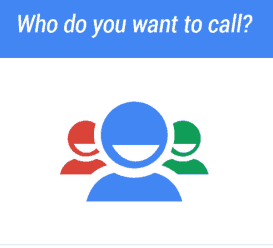 Google Now for Android phones has included a new capability – you will now be able to tell your phone to call or text your loved ones. Here’s how to use it. 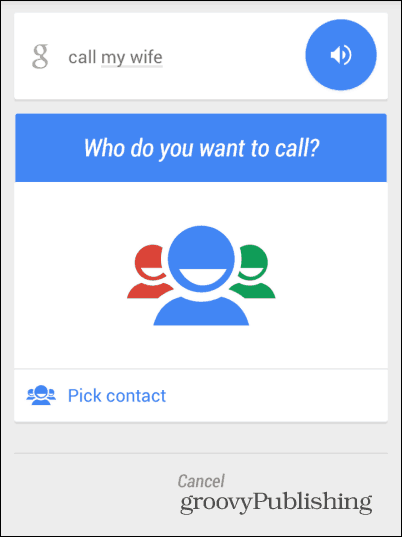 Google Now for Android phones has included a new capability – you will now be able to tell your phone to call or text your loved ones. This should make for easier hands-free use and it’s just plain cool.Here’s how it works. The new ability of the Google Search app, Google Now, was recently implemented and it helps you reach your loved ones and regularly called contacts. It’s a lot easier than fiddling with the phone’s keyboard. It was recently announced by the company in a Google+ post. You can just tell your phone to call your mom or text your wife and it will do so. Of course, in order for it to be able to do this, you’ll need to clarify who your wife, mom, uncle or whatever other important person is. If you’re fine with Google knowing that information, here’s how to set it up. 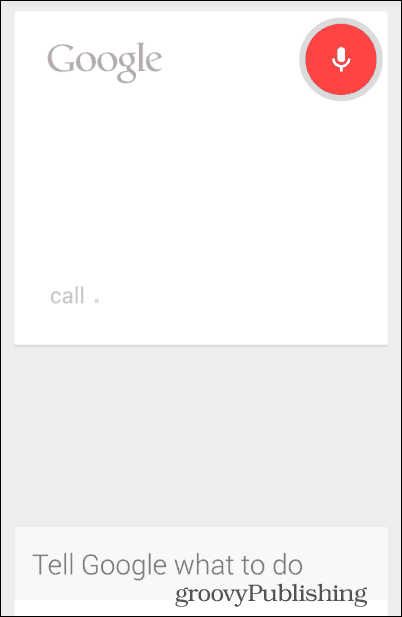 The first time you use this to call a new contact, you’ll be told that Google needs to use your contacts. Tap Yes, I’m In. 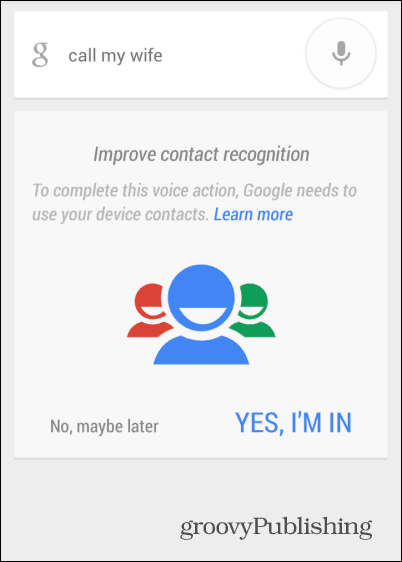 Contact recognition is now enabled for the Google Search app. Tap the microphone button and say Call my…contact again. 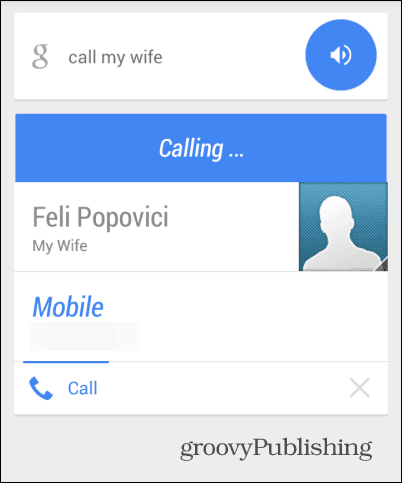 Now, if Google Now recognizes the name, it will provide you with some options from your contact list. If it doesn’t, you’ll have to tell the app which contact you want. Once the link has been made, the contact should appear automatically. It took a while for it to link right away, but don’t despair if it doesn’t work instantly. After it does, you can also use it to text that contact. 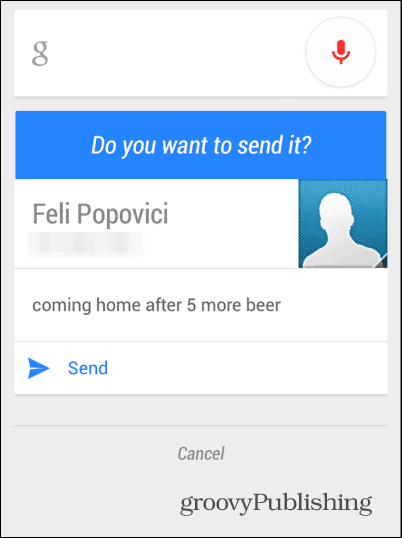 To do so, just say “OK Google, text my…contact” followed by the text itself. While this is a neat feature, it still lacks the ability to edit relationships after they’re added. I mean, if you add a different contact by mistake, you’re pretty much stuck there. Hopefully, that ability will be available in the future.